2. Students and parents that meet with a tutor regularly won’t need to worry about how much time they have left on their monthly tutoring subscription. 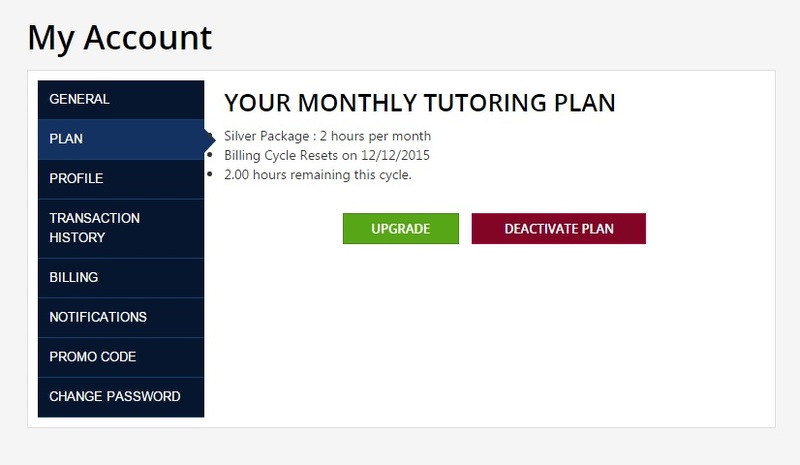 TutaPoint has just released a new feature that notifies our clients by email when their available tutoring time drops below 45 minutes. 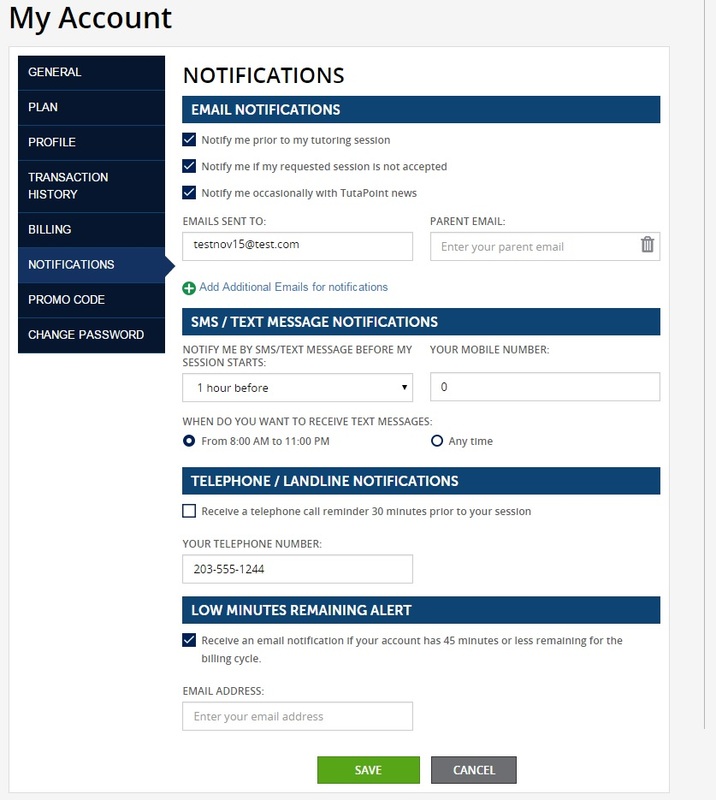 Simply select My Account, then Notifications to activate this service.